With a growing number of Teddy Bear Kits, Teddy Bear Patterns and Downloadable PDF Patterns, as well as a large assortment of Steiff-Schulte Mohair and Bear Making Supplies. You are sure to find plenty of items that will enhance your bearmaking experience. Getting started with ordering online is explained in detail on our Customer Service page. Otherwise read more about the journey of Teddytech and the creation of teddy bears in South Africa. "... Here a hare, there a rabbit, everywhere a bunny...they are all in abundance at the moment. Not the real ones, of course, but those proliferating in shops in all shapes, sizes, varieties...some edible, some not! 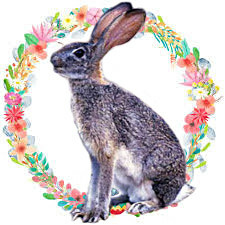 With visions of rabbits and hares, we thought it would be a perfect opportunity to offer you the opportunity to purchase some of Teddytech's new downloadable patterns for bunnies, rabbits, hares. Included with the pattern is a list of all the items required to make the bunny; detailed DIY instruction information; full size pattern pieces and colour photograph. Then make it at your leisure — as a baby gift, present for a special friend, or just to add to your own collection ..."
→ Click here to read our latest newsletter online now. → Click here to read our previous newsletters.